Tailor your welcome emails with the information your new members need. 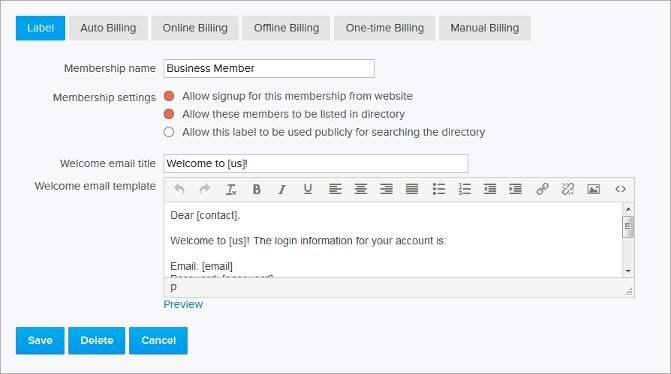 Emails can be customized by membership level and are sent automatically when a new member signs up on your website. To create your custom welcome email go to MemberFindMe > Labels & Membership. Then click on the membership level. In the Label tab you will be able to edit the welcome email title and message.